The center of the building was constructed in 1879. The clock tower and wings on either side were added in 1930. The exterior of the building went through renovations in 2006. During the Civil War, the Confederacy was vulnerable to warships coming down the Tennessee and Cumberland rivers. Kentucky declared neutrality during the war, so the Confederates looked for a place near the the border where they could defend the river. About a mile north of Dover and about 10 miles downstream along the Cumberland River from the Kentucky Border was the site of this fort. At this location, the river has a lengthy straight path before a bend and the bluffs above the river provided a great location for a battery to shoot down any Union boat that would try to come through. In Feb. 1862, Union General Ulysses S. Grant led troops to capture this fort so that the Union could send ships through here. When I was in 6th grade, my class visited this spot on the way to an overnight stay at Land Between the Lakes and it's something that has stuck in my mind over two decades later. Today with a dam upstream, the Cumberland River is also Lake Barkley, but the width of the waterway is about the same as it was during the war. 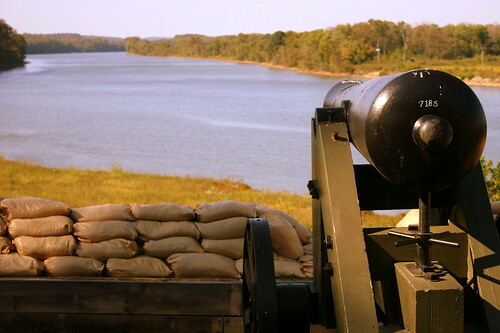 Fort Donelson is under the oversight of the National Park Service and is designated a National Battlefield and on the National Register of Historic Places. The lower batteries have been rebuilt and preserved here. The Upper batteries are also preserved and is located around the bend. The cannon shown here has a date of 1846 etched in the side. Bruno Gernt Office & Allardt Land Co. 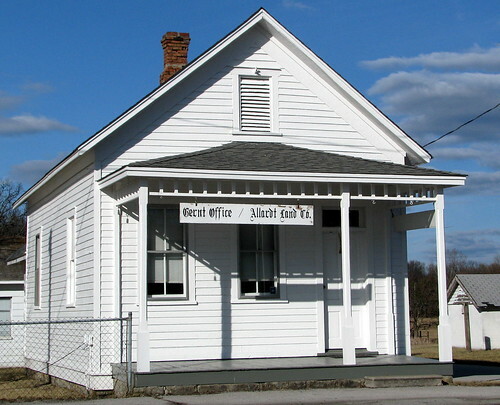 In the late 1800s, Gernt and M. H. Allardt founded a community of immigrant Germans in the Upper Cumberland Plateau at about the same time the British were settling nearby (and today the much more famous) Rugby. German land agent Bruno Gernt envisioned a self-sufficient city here. Gernt sold 9,000 acres owned by the Clarke family of Nebraska in parcels of 25,50, and 200 acres at $4 per acre to farmers, miners, and lumbermen. The town was laid out geometrically and named for Gernt's partner, M. H. Allardt, who died before settlement began. Gernt recruited skilled craftsmen, professionals, and experienced farmers from Germany, and soon Allardt led the region in production of hay, fruits, and vegetables. For more than 50 years, Gernt never ceased his efforts to have the town of Allardt be all he dreamed it could be, and the community prospered for a time. Today, more than a dozen buildings make up the Allardt Historic District. There are Davy Crockett memorials all over the state due to the many places he lived. This one is located in the Davy Crockett Birthplace State Park near Limestone, TN. The main part of the monument is in the center. It was placed there by the Davy Crockett Historical Society in 1890. 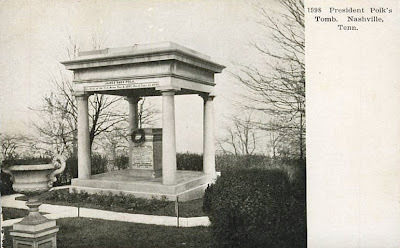 Then, the monument was replaced at the Davy Crockett Celebration in Aug, 1965 by the Limestone Ruritan Club. Encircling the Memorial are four curved stone wall segments. Embedded in the walls is a stone from each of the lower 48 states, with the name of the state carved onto it. For instance, Tennessee is the largest one in the middle of the bottom row. Here is a new book that is hot off the presses! 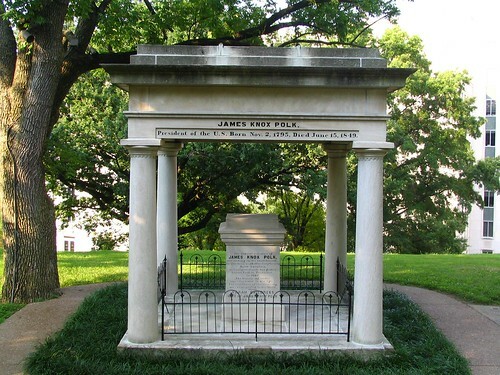 Earlier today, I posted the post card for the James K. Polk burial site at the state capitol. His death represents a tragedy. Despite the fact that he was one of the most powerful people in the civilized world, he died at a young age of the cholera epidemic that swept through the state. 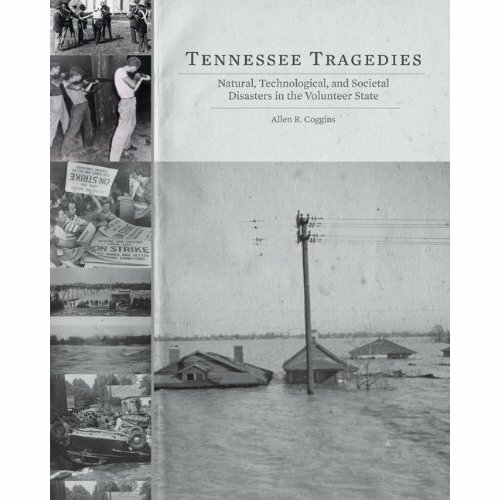 This, and many other maladies to befall our state are chronicled in this recent book published by University of Tennessee Press. It makes for an interesting read of the state's not so proud past. This post card dates back to 1904. In the 108 years since then, some things have changed but a few are the same. President Polk at the time was the youngest ex-president ever. Despite that, after leaving office to settle down, he died of Cholera less than half a year later. 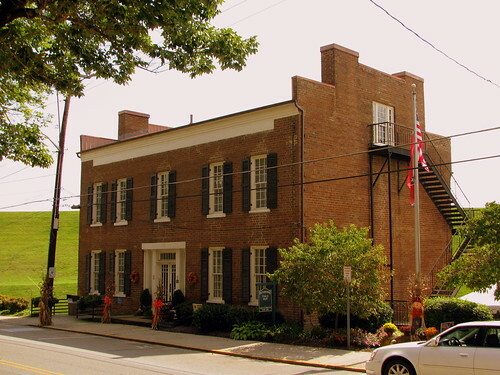 For that brief time, he lived at a mansion in downtown Nashville, which became known as Polk Place. Soon after his death, he was interred on the Polk Place grounds, which can be seen in the photo from the 1880's. Polk's wife Sarah outlived by over another 4 decades at Polk Place. However, after her death in 1891, the future of the home became in disarray. The outcome that few people wanted came true as the property was sold to investors who tore down the mansion in 1900 and built another building here. The president's burial site needed to be relocated, and today is seen upon Capitol Hill. There are some minor differences between the older view and now. I suppose the biggest difference is that tree to the right, which has had another century to grow. There is now also a small wrought iron fence around the monument, which I suppose acts as a deterrent to people walking all over it. The flower planter in the foreground is gone now, I suppose. This photo was taken 6 years ago. Some of the trees had started to bloom and showed rich color, while others had yet to start. CSX 1111 rolls on through over the bridge at the park. Notice the outline of the state of Tennessee at the bottom? This photo was taken from Capitol Hill where you can get this view of the entire urban state park. 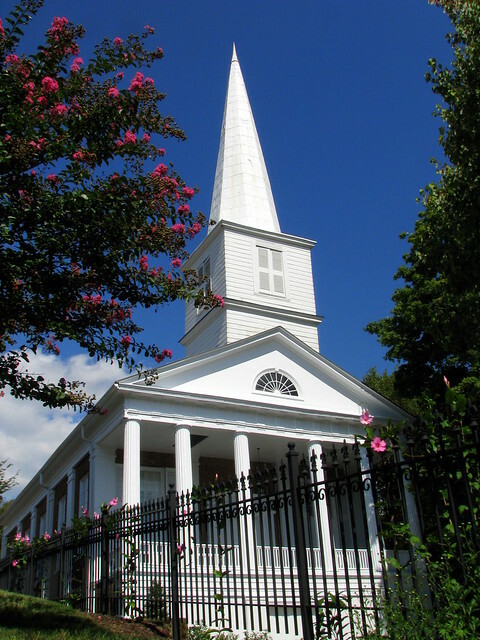 The congregation that eventually built this building started as the Hebron Presbyterian Church in 1790. 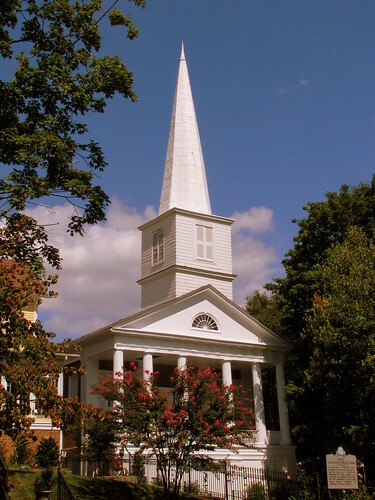 In 1816, the congregation moved to Jonesborough and bought land between 2nd and Washington on the north side of Main St. This building was built in a Greek Revival style in 1850. Plans for the building were drawn up by a Mr. Clise of nearby Kingsport. The bricks and window shutters were all handmade and are originals. The original design specified wide outside front steps but female modesty wanted that changed. (One's ankles should not be revealed while wearing a hoop skirt!) While the view is partially obstructed, you won't see steps. The terrace surrounding the steps were enclosed, and they became indoor steps. 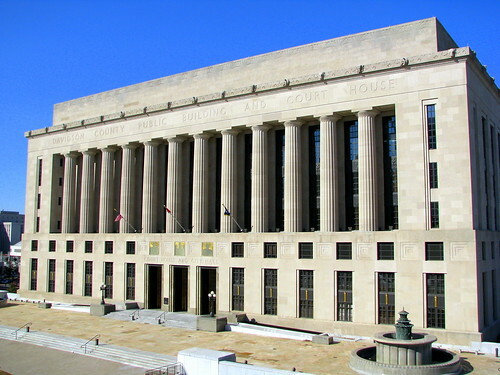 Thus, the main entrance to the building looks like it is on a second story balcony behind the six columns. Not too long ago, a stumbled across this roadside stop on the south side of Winchester. Many of the destinations I go to are places I've planned, researched, found in a book, brochure or the internet. This place caught be completely unaware. Harvey Templeton had a dream to build a floral park that all could come and enjoy. 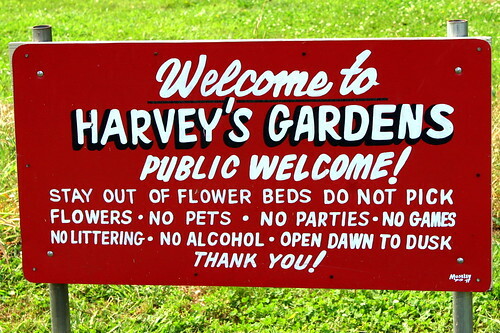 Unfortunately, Harvey never saw his vision realized. However, starting in 2003, his son and daughter-in-law started this park in his honor. It is a work in progress and has slowly grown over time. The walkways are designated by rocks, and if you pull up the picture in full size, you might be able to see the rocks of the trail continue way off in the distance. I would like to see it in the spring when the flowers are in bloom. The parking area is just off highway US41A, south of the Winchester town square and north of the US64 bypass. And no parties! Hiram Masonic Lodge No. 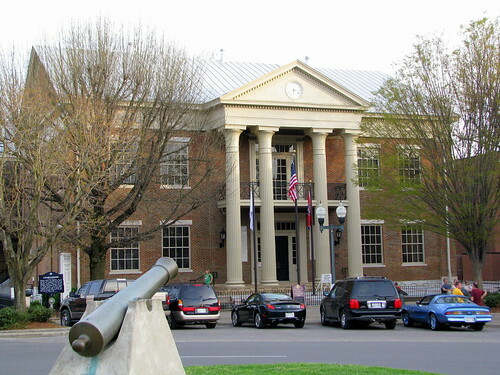 7, a Gothic revival building constructed in 1823, is the oldest public building in Franklin, Tennessee. It houses Hiram Lodge No. 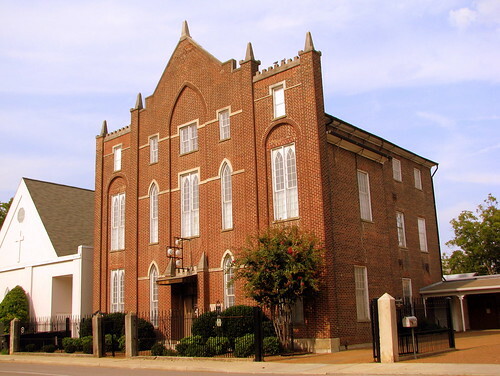 7, founded in 1809, and is the oldest Masonic Hall in continuous use in Tennessee. 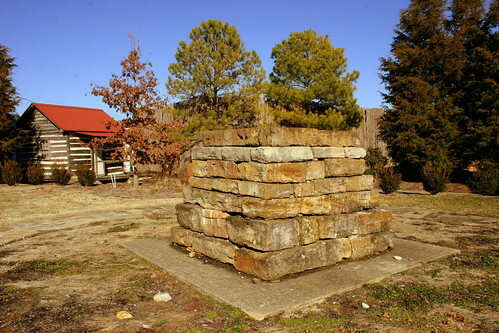 It was the location of the negotiation and signing of the Treaty of Franklin in 1830, in which the Chickasaw Indians sold their lands prior to being moved west to today's Oklahoma. Sitting president Andrew Jackson was a participant, the only time a U.S. President would journey to an Indian council for the purpose of making a treaty. The building was used as a hospital for wounded Union soldiers after the Battle of Franklin, during the American Civil War. It was declared a National Historic Landmark in 1973. The brick building is three stories tall, five bays wide and five bays deep. The front roof line is gabled in the center, battlemented to either side of the center gable, and surmounted by five obelisk pinnacles. The windows of the first two floors at the front are elongated gothic with 11 lights over eight set in semi-circular indented two-story brick arches. The central windows over the entrance are set in a gothic indented arch of three stories. The windows of the third floor are rectangular, 4 lights over four. Plain rectangular windows are found along the sides and rear of the building--on the first two floors, 12 lights over 16; on the third floor, 8 lights over 8. Johnny Reb's was a restaurant in Marietta, GA on highway US41 that decided to stand out from the other places in town, by erecting a 56 foot tall sheet metal chicken in 1956. The top of the chicken is mechanical as the beak opens and closes while the eye spins in circles. 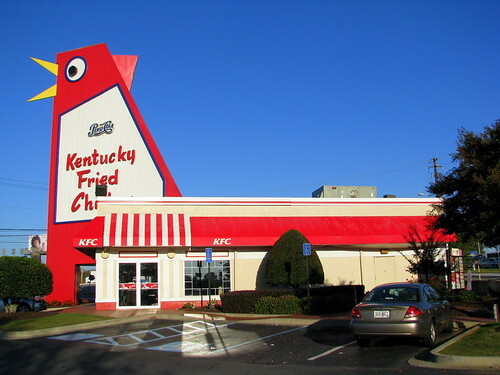 A few years after it was built, the restaurant was sold and became a Kentucky Fried Chicken franchise. Over time, the structure started to fall into disrepair and a tornado damaged it in 1993. There was talk that it might be torn down, or moved to a business in Smyrna, GA. However, the townsfolk rallied to save the local landmark. Today, the chicken and the KFC franchise still thrive, and you can even purchase a couple of souvenirs inside. On the Caney Fork River. Built in 1949 and operated by the Army Corps of Engineers. As explained on the plaque: "This is one of a series of dams in the Cumberland River Basin for flood control, power, navigation and water conservation. Resevoir capacity at max pool - 2,092,000 ac.ft. Earth Embankment - 2,600,00 cu.yds. 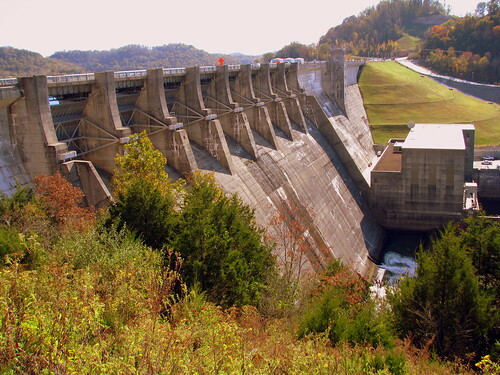 In January 2007, the U.S. Army Corps of Engineers placed Center Hill Dam under a high risk for failure. Highway TN96 also crosses over the top of the dam. This Romanesque building was built in 1890 to be the office of the East Tennessee Land Company. Soon afterward, it took on a more prominent use as the main building at American Temperance University. I suppose in this day and age it's hard to imagine an entire school and city built around the idea of Alcohol Prohibition. According to the historical marker, Harriman was incorporated to be the ideal industrial city, one where one could expect to find thrift, sobriety, superior intelligence and exalted moral character, where workers would be uncorrupted by Demon Rum. The city is named after Union General (this part of the state leaned pro-Union) Walter Harriman, former governor of New Hampshire. The idea didn't stick and the University ceased 15 years later. (The city remained dry until 1994!) Today, this building serves as City Hall and a local museum. There are stories that this place is haunted, but as you might expect, all the ghosts act in a manner of sobriety and exalted moral character. The building is also listed on the National Register of Historic Places under the name Harriman City Hall. Explorer Meriwether Lewis of Lewis & Clark fame is buried near the place where he died. 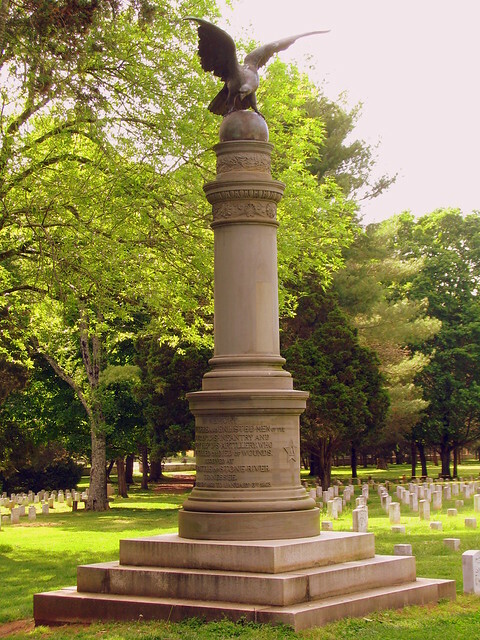 Here is the monument as it appears today. A cairn is a mound or pile of stones built as a monument. What you see here is the stone cairn that covered his grave for over 150 years. The state built the monument in 1848 and new cut stones replaced these in 2000. 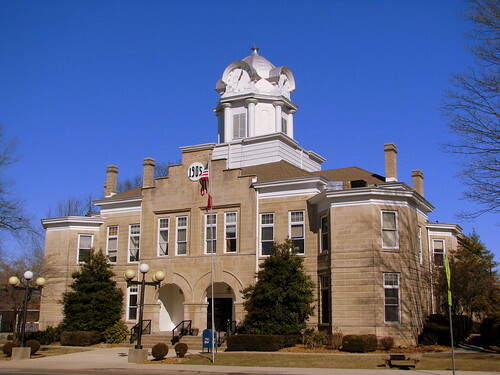 The city of Hohenwald is the county seat of Lewis County, named in his honor. Under the oversight of the Lewis County Museum of Natural History is an outdoor park known as the Discovery Trail. These stones were relocated here and are the highlight of that trail. Plans are being made to add a Lewis Statue at some point. 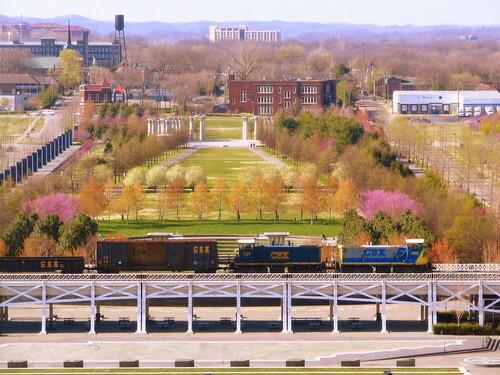 I have put up a new Extended Gallery on SeeMidTN.com, entitled Random Photos of Nashville (Part 1). After having taken photos all around town for many years now, there's a bunch of photos that need to be out and about. Now, these photos either have some kind of photographic flaw, or maybe I felt they didn't have a broad enough audience to include in my main online Flickr collection. Instead of collecting more dust, I thought that maybe someone might enjoy some of these other pictures. This and subsequent Nashville sets will have up to 200 photos in them. My eventual goal is to have 10,000 photos online. Now, not all of these 10,000 will be of Nashville, but I felt it's the best place to start. I'm already 2% closer to the goal! By the time you read this, there may be more, a 2nd or 3rd set. 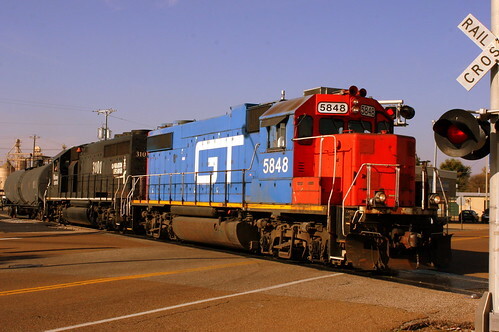 GT 5848 Locomotive crosses 1st St.
1st St. is the main road through the heart of town in Union City, TN. Grand Trunk Western was bought out by CN, but you still see their trains in various places. Union City for many years was served by Illinois Central, (which is the second locomotive here) and they are now also run by CN. On this particular day, I saw this pair of GT and IC pull various train cars back and forth through town during the hour I was walking around. Then by the time I was driving south, I passed the same crew. 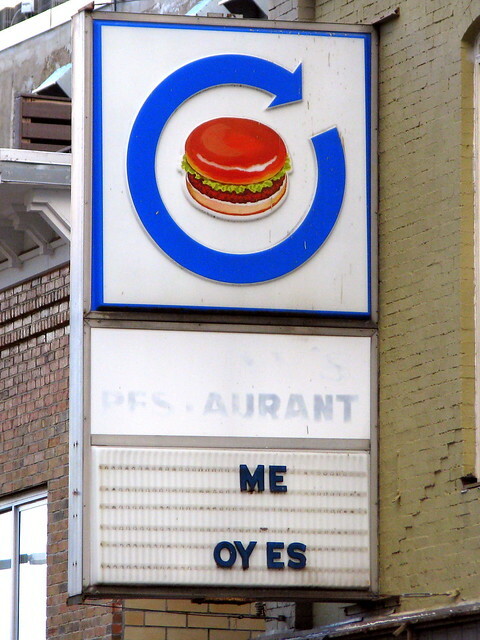 I assumed this is Blue Circle Hamburgers, which used to be a chain in east TN, but all but one of them are now gone. In downtown Knoxville, this entire side of the block was under construction on the day this photo was taken in late 2010, but the sign for a vacant business remained. "Johnny's Diner on Wall Ave. If I remember correctly Johnny cooked here for Blue Circle for years and then bought this place from the company. I ate many breakfasts here thirty years ago." "Here is a little company history. This one was independent when I was a regular there in the early 80's. It was the kind of place where Johnny would see you coming up the sidewalk and have your eggs on the grill and the waitress would have your mug of coffee at your space at the counter before you got in the door." along with the Capitol Theater a few doors down, it's one of two vintage theaters along the main business strip in Maryville, TN. As you can tell by the rows of grave markers, this is in the battlefield Cemetery. 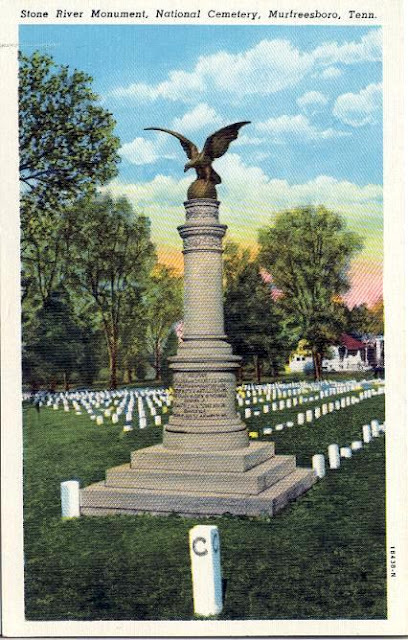 The plaque on it labels it as the Union Soldier Monument. 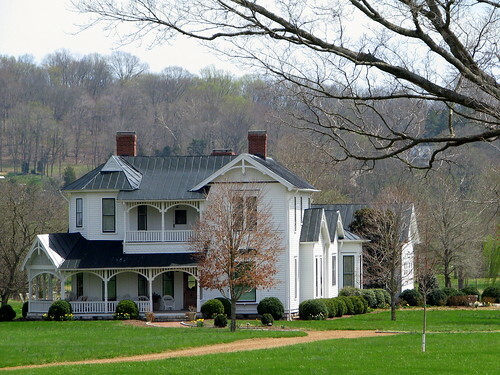 This farm was part on the 2,560 acre Thomas Benton plantaion which was sold in 1821 to Samuel Cummins, and was then sold to Dr. George B.Hunter in 1865. In 1902, this house was built in a Queen Anne style using Sears and roebuck hardware, woodwork and mantels. JT Morton purchased the 500 acre farm in 1907 for $13,500. The Blackburn family operated a dairy farm for 30 years. 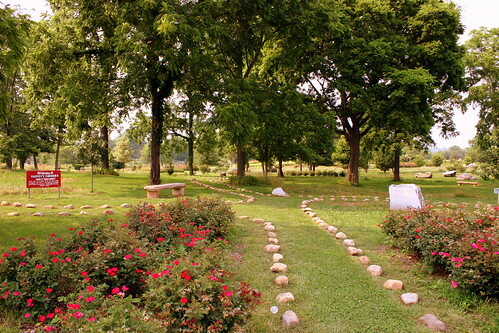 In 1999, the Preston family granted a conservation easement to the Land Trust of Tennessee. This is stop #18 on the TNTrailsandByways.com "Old TN Trail"
This is quiate an old, faded advertisement mounted on a barn near Dickson, TN. This as was meant to reach westbound travelers on Interstate 40 before exit 172. Alas, this is quite a busy area today and the Texaco appears to be no more. 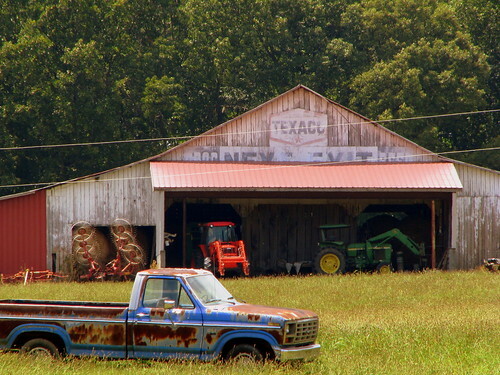 As I was driving down I-40, I wondered if I saw this the way I thought I did out of the corner of my eye, and I spent the next 30 minutes hunting down this barn. The Sea Anemone is usually not something you think of as an animal, much less would you think of them as animals you would look for at the zoo. They are indeed an animal, albeit one of the least intelligent ones, down at the bottom of the bioligists chart with the sponges. They live by hoping prey will happen to swim by, which can be stung by the tentacles, which will paralize the prey with a toxin with the hopes that it will then proceed directly into the mouth. Instead of renting expensive scuba gear and underwater camera equipment, I went to the Nashville Zoo at Grassmere inside the building. 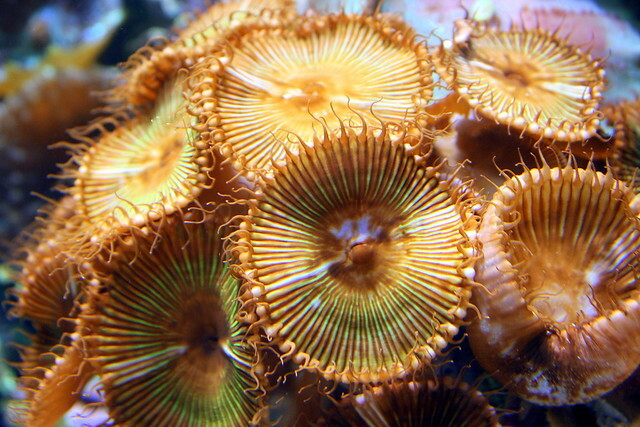 While you may have never noticed them before, the Sea Anemones are there with the fish, snakes, and amphibians. 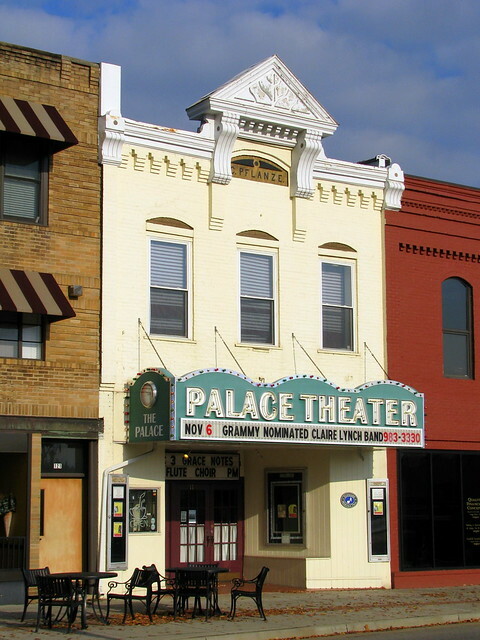 On the corner of Franklin and First in Downtown Clarksville, the Lillian Theater was built in 1912. It burned down in 1913 and was rebuilt. 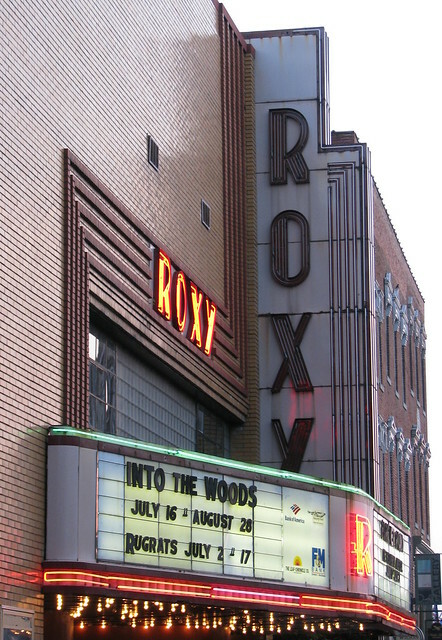 It burned down again in 1945 and the was rebuilt again, this time as the Roxy theater. It showed first run movies until 1980 and then ever since 1983 has been used as a popular live theater. The Art Deco theater was also the backdrop of the music video "All I wanna Do" by Sheryl Crow in the mid 90's. I am not sure if this is kept for posterity, or if someone is working to restore it. I am not even sure how old it is, but the photo was taken 7 years ago. 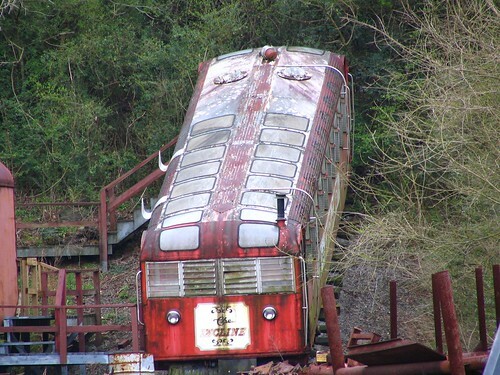 This used to be part of Lookout Mountain's Incline Railroad train car. This is now kept at the Tennessee Valley Railroad museum, at the "East Chattanooga" station with the other traincars that need repair. 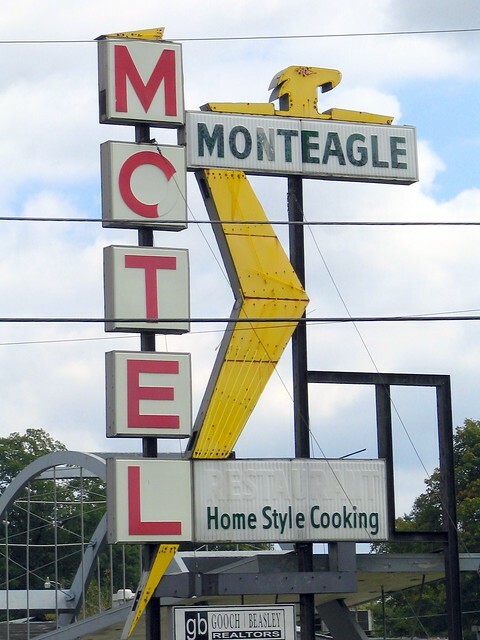 For decades, this sign was on Broadway (US 431/70S) in Nashville, with the vertical part reading Pontiac. The sign was taken down a year ago last March for several reasons. 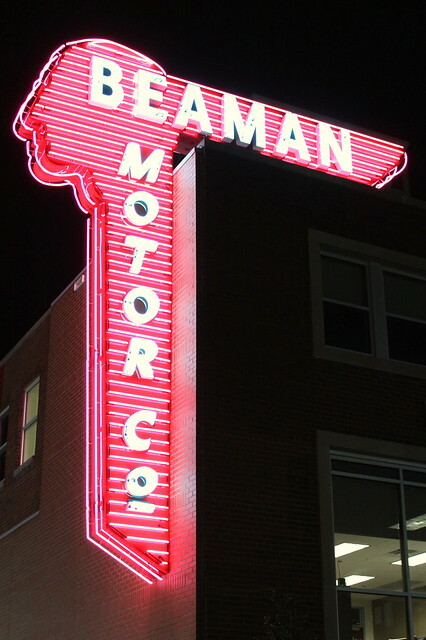 As they refurbished the sign, they updated it since they're more than just a Pontiac dealer now. They also wanted the sign to be visible from Interstate 40, so it has been newly positioned along another side of their property. The Beaman name is well known in Nashville. 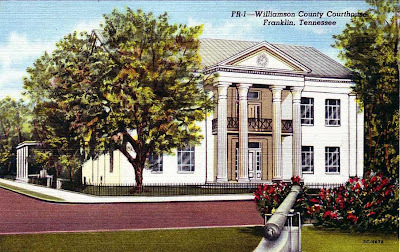 Williamson County's first two courthouses (one log and the second of brick) were located in the center of Franklin's town square. This one is the third, completed in 1858 at a cost of $20,000. 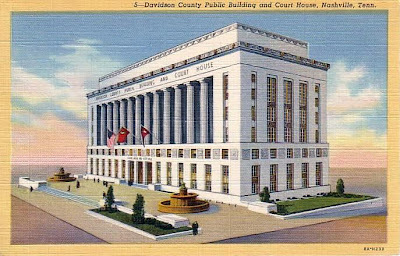 There are about 7 antebellum courthouses still in use in Tennessee. During the Civil War, it served as the federal headquarters. 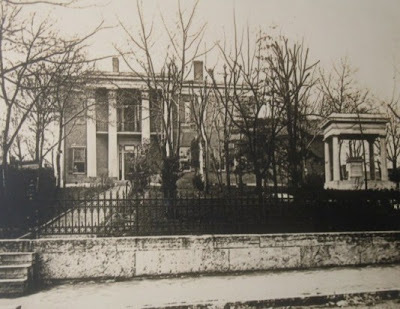 Then, after the Battle of Franklin it served as a hospital. In 1880, a lynch mob hung a man from the railing of the second floor balcony while forcibly restraining the judge and sheriff. The interior was remodeled in 1937, 1964 and 1976. An annex was added in 1976. A photo of the building from the mid 1970's shows the entire exterior was painted white just like in the post card from a few decades earlier, although I'm not sure when that was first done, or when the original brick was restored. Today, the building is on the National Register of Historic Places. In the center of the town square today is a confederate statue and four cannons, one at each corner. This brick building in a Federal Style was built ca. 1820. The highlight is an interior circular staircase which winds up to the third floor. 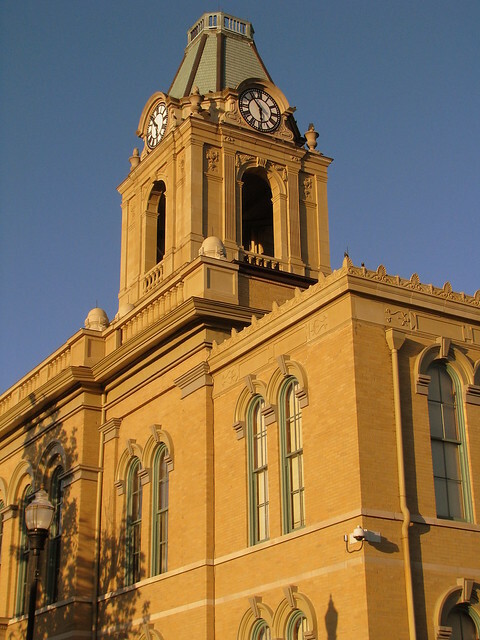 The building was originally owned by the Fain family and later by James Hickman who built the county courthouse. Today it is the city hall. In the background, you can see the levee which was built to prevent Dougas Lake from flooding the historic city center. Upon the mountain in Monteagle. 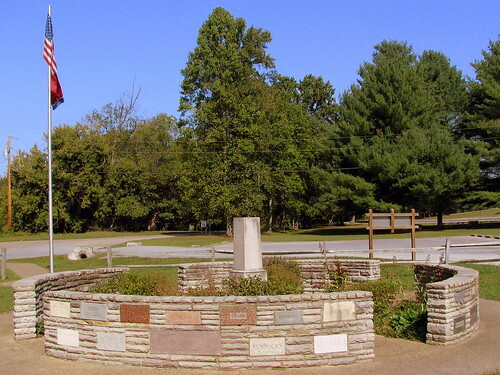 Located on U.S. Highway 41, which used to be the Dixie Highway. 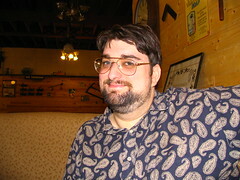 This photo was taken in 2006. At some point between then and 2012, the motel and the sign were taken down and this property is now a drug store. 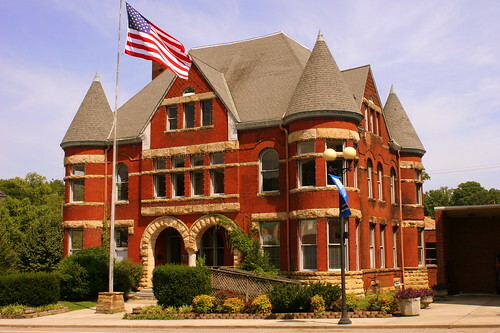 This interesting building was built in 1898 and was modeled after the fortress-like structure in Auburn, NY. The main building in the front and center is an administration building. The prison has 800 cells and was built for a cost of $500,000. 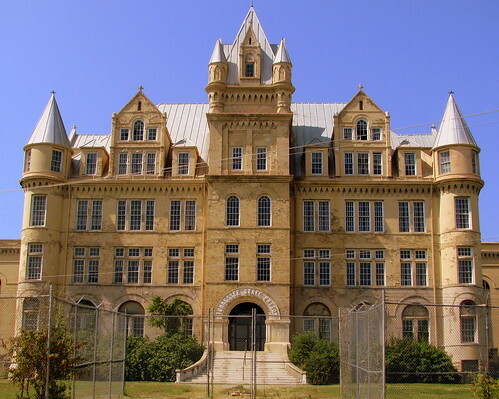 Due to deterioration, it was closed in 1992 to coincide with the opeing of Riverbend prison. Since it's closing, it's been a popular spot for films ranging from Ernest Goes to Jail to The Green Mile. I've seen post cards of this place from the 1910s and 20s. It seems like an odd thing to make a post card for. What are you going to say? Wish you were here! I've heard it's also a popular place for ghost tours. At the same time the interior is quite unsafe. I've heard reports of security keeping people from getting close to the building, bit nobody was on duty the day I was here. To the right of the prison is the Cumberland River and to the left and behind it is Briley Pkwy. To see my other views of the outside of the prison, look here. 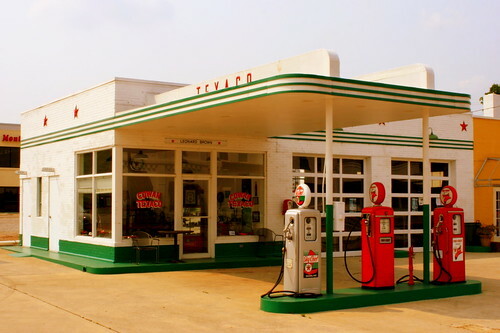 the local vinatge gas station has been preserved and now is used as a museum and tourist welcome center. This station is located near the important transportation intersection of highway US 41A before the ascent to Sewanee and the CSX train line before it begins its ascent to the Cumberland Mtn Tunnel. The station still has three gas pumps, one for sky cheif and 2 for fire chief. In the service station, the museum has a 1936 Ford and a 1950 Ford. Cowan has also preserved one of it's old fire engines that still gets the job when the call comes in. By the looks of it, this classic motel sign looks like it is about to be picked up and mounted at this same storage facility. 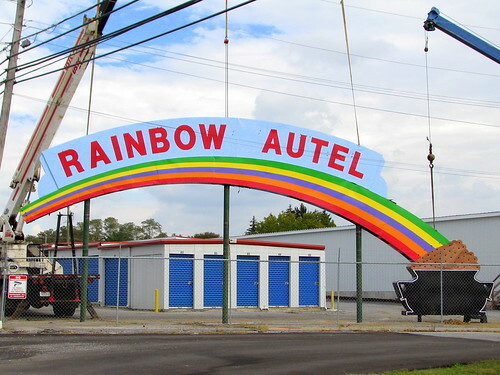 The Rainbow Autel was about 25 miles up the road in Chilhowie, VA along the Lee Highway. I'd never heard the term Autel before - It sounds like a foreign word. In reality Autel = Auto Hotel the same way Motel = Motor Hotel, but the term didn't have staying power.